2018 was a year of continued progress for The Village. We finished the year in good financial condition and on budget. With the repeal of Ohio’s estate tax in 2013 the Village lost its sole source of capital improvement funds and put most capital projects and road maintenance on hold. In 2017 Village voters replaced part of those funds with an income tax increase. 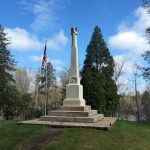 Using these new funds, together with operational savings achieved and borrowing at low rates, the Village continued to implement its capital plan to reduce the backlog of deferred maintenance items and provide for future needs. During 2018 we resurfaced the following streets; Stanridge, Lyndale Lane, Robbins Court, West Cottage and Division. In addition Walters Road was rebuilt from the road base up with water and sewer lines replaced and sidewalks added. Road patching and repair was done by the service department who laid down 65 tons of asphalt. We also replaced the stair access from Riverside Park to the library with a serpentine path making the library stroller and handicap accessible from the park. The Village was successful in applying for an Ohio Nature Works Grant which, together with private contributions we have received, will allow us to complete a river walk on the south side of the river. When completed, this walk will join with the existing Riverside Park walk and create a one mile walking loop in the central business district. The Village service department installed a series of rain gardens in the Ben King arboretum on Vincent Street that will solve a long standing storm water run-off problem originating on American, Columbus and Vincent streets. Eagle Scout A. J. Wahl completed a path through the arboretum and added two benches. The performance of the new leaf collection machine again exceeded our expectations and greatly improved efficiencies in the service department. The new machine has allowed us to make 6 collection rounds of the Village vs. the pervious 4. The service department collected just under 2,000 cubic yards of leaves for composting. We were able to do this with just two people and two days of overtime versus the previous 6 person crew and two weeks of overtime for the entire crew. 2018 was an active year for private construction in the Village. There were 87 submissions to the Architectural Review Board, and 331 building permits and related building inspections issued or performed during the year. Fifteen property maintenance complaints were filed with the building department and all successfully resolved. At the administrative level some significant savings were achieved. We changed our healthcare policy and were able to achieve savings of just over $125,000 for the year when compared to our previous policy. This was done without cost shifting to employees or reduction in benefits. The Village wide hardware based telephone system was extremely old and had been in need of replacement for several years. In September we switched from a hardware based system to a cloud hosted VOIP system. This change avoided the expenditure of approximately $100,000 in new hardware costs and will provide approximately $40,000 in annual telephone expense savings. During 2019 The Village will be asking the voters to renew the general operating levy of 5.50 mills. THIS WILL NOT INCREASE PROPERTY TAXES. The general fund operating levy is a voted operating levy that requires renewal every 5 years. Renewal of this levy is essential to Village operations. The levy generates approximately one million dollars and it has been renewed every 5 years since the mid 1980’s when it was reduced from the previous 6.5 mills. 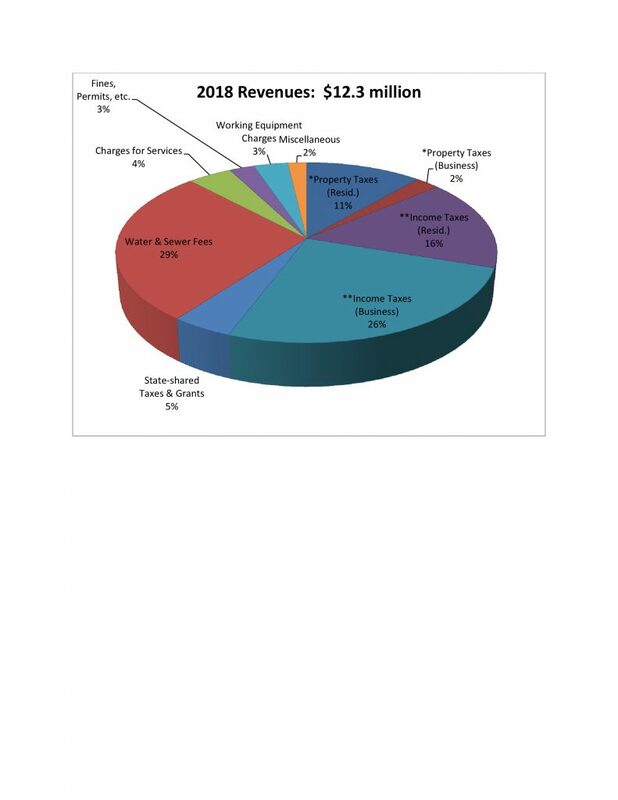 As of December 31, 2018 0.6 Mils of Village property tax will come off your tax bill as the Streetscape bonds will be fully retired. Only 8.2% of your total property taxes go to the Village, the remaining 91.8% of your property taxes go to the schools, county and other outside agencies, all outside of Village government control. During 2018, our regional fire services responded to 1581 emergency calls, a 2% increase over 2017; 78% of these were EMS calls and 22% fire and rescue calls. Within the Village, the average response time was 3 and a half minutes from the time dispatch received the call until first responders were on site. The entire service area was significantly under the national standard of 8 minutes for response time. 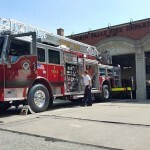 In conjunction with the Village’s efforts to remodel the existing police station, the Chagrin Falls Suburban Volunteer Firemen Association undertook a private fund-raising effort to pay for the fire station expansion and upgrade. Unfortunately we have had to defer the construction of this combined project. We bid the project twice and received only one bid each time and each bid was approximately 40% over our cost estimate. We are reevaluating our plans and will rebid it when market conditions are more favorable. All the funds contributed to the fire station expansion are in a separate account and will be used only for the fire station expansion. A special thank you to John P. Lennon; who contributed the funds required to convert the basement of the Shute Building into a physical training room for our safety forces. This not only provided an important area for our safety forces to train but it also freed up the previous training area and will now allow all but one piece of fire equipment to be stored indoors; a very important response time issue in winter time. During 2018, the police department continued to provide us with a safe community. In the past year they answered 8464 calls for service. These calls resulted in 418 formal police reports and 98 motor vehicle accident reports. In the summer of 2017, the police department began a speed monitoring program to assist in the identification of streets and/or neighborhoods that require targeted speed enforcement. The results of the monitoring are beneficial as they provide factual data regarding the actual speeds and hours of the day the vehicles are traveling in a given area. The table below shows a general breakdown of the results obtained in 2017. This data is used to target our enforcement. In 2017 the Police made 1400 traffic violation stops. The Chagrin Police Department continued to provide a safe zone to meet and transact sales of merchandise sold on line. The location is in front of the police station at 21 West Washington Street and it is video monitored 24/7 and has a telephone hot line to 911 police dispatch. Also during 2018, the Chagrin Falls Police Department, together with the school district and the Village of South Russell, were able to assign a full time police officer to the school to provide an additional measure of security to the students. In addition to traditional policing, your police department participated in extensive community outreach efforts. These included school presentations, Safety Town, Bike Rodeo, Coffee with a Cop and for children, Shop with a Cop. These efforts were primarily privately funded. The police and fire departments’ major fund raising effort to support these programs is the chili cook off. This year’s cook off is on Saturday January 19th. I urge all to to come as it supports very worthwhile causes and a good time is had by all. 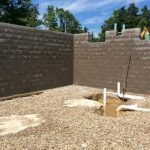 The Water and Sewer, Utility Department, has been a focus area for the Village in 2018. In the water department, we have focused on how we could provide our customers the information they need, on a timely basis, to manage their water usage while improving the efficiency of our operation. The result of this study was the decision to implement an Advance Metering Infrastructure or “AMI”. This system includes radio read water meters and supporting software to allow the water meters to be read from the utility clerk’s desk. This system has customizable alerts that will allow the utility department to flag accounts that may have leaks or abrupt and large increases in water consumption, e.g. a broken pipe. The residence or business will be notified promptly when the utility department receives such an alert and offered a leak detection visit by our utility department staff. This system will also allow the utility department to set up system alerts to help with water main leak detection. Greatly improved efficiency will be realized by eliminating manual meter reading saving approximately 12 man weeks of time per year. The waste water treatment plant (WWTP) operates under a discharge license from the Ohio EPA. The Villages license was recently renewed with a mandate to eliminate all Sanitary Sewer Overflows (SSO) in the collection system. Currently SSOs occur 4 to 5 times per year. SSOs are primarily caused by storm water entering the sanitary sewers and overwhelming the treatment capacity of the WWTP resulting in a discharge of untreated sewage to the river. We are working on complying with this mandate through a three pronged approach. We will eliminate as much storm water as practical from the sanitary system, maximize the capacity of the treatment plant to process surge flows and potentially add more flow equalization capacity; i.e. retention tanks. Reducing storm inflows and maximizing treatment capacity will minimize the need for any very costly construction of a larger retention tank. The WWTP was constructed in 1972 and some of the equipment is at or nearing the end of its service life. The last major plant improvement was in 1992 and time and the harsh environment have taken a toll. In addition to the license renewal requirements, we will be upgrading and rebuilding some parts of the plant during the next several years. 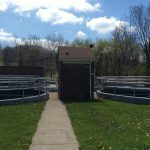 Our WWTP is a regional facility and is jointly owned with Geauga County who will share a proportionate share of the upgrade cost of the plant. Overall the utility system is in good condition and is efficiently operated. The Village has run a utility system for over 100 years. Our system is old and in the 1990’s it was recognized that the underground water and sewer lines needed to be replaced. 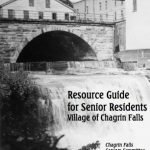 In the early 1990’s The Village started a multi- decade upgrade program to replace the underground water and sewer lines. This program is nearly complete as approximately 75% of the water and sewer lines have been replaced or relined. If we stay on plan, this program should be completed by the mid 2020’s. The new lines have an expected service life of between 75 years to 100 years. Prior to 2014 the Village had used State Inheritance Taxes and Local Government funds received from the State to fund a large portion of this replacement cost. The State has eliminated the Inheritance Tax and reduced the Local Government funds to insignificant levels. 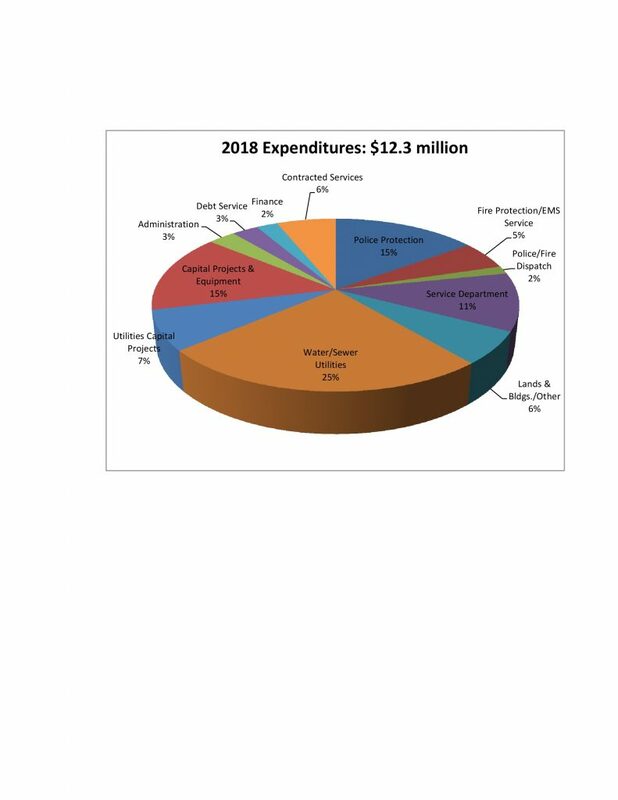 Currently, and for the foreseeable future, utility charges, supplemented by local tax dollars, low cost loans from the EPA or OPWC and grants, when we are successful in applying for them, are the only funding sources for replacing the remaining underground lines or WWTP modernization. Looking forward to 2019 and its new challenges. As previously mentioned, the water department will be implementing the new AMI system. We are also looking into a means that would allow the Village to offer optional electronic billing and payment of utility bills. The County will begin the rebuilding of the Main Street Bridge this June. The Village will be working with the local businesses and residents to minimize problems and manage traffic flow. The Village also plans on reconstructing the east side wing walls in conjunction with the bridge rebuilding. The wing walls are the vertical cement sides to the river between the bridge and the man made falls to the east of the bridge. This is a fairly major construction project; preliminary cost estimate is $1,020,000. This construction this was last done nearly 40 years ago and is required as the walls are starting to be undermined by the river. The State of Ohio and Cuyahoga County are contributing approximately 40% of the cost of these projects. 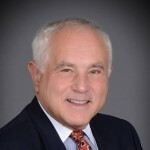 I would like to thank State Senator Matt Dolan and County Representative Jack Schron for their efforts on behalf of the Village. The WWTP will be a focal area for the Village. We will be focused on meeting our mandate in the most cost effective manner. The Village will work to obtain as much grant funding and low cost loans as is possible. During 2019 we look forward to continuing to provide the safe, secure and enjoyable environment our residents expect. As always, if you have question or concerns don’t hesitate to call village hall, the mayor or your elected council representatives, we are here to serve you.